Cristina Arroyo Garcia passed away peacefully on Tuesday, August 14, 2018 at the age of 45 after a courageous battle with cancer. Cristina was born on May 1, 1973 in Burgos, Spain to the late Eulogia Arroyo Arce and Cecilia Garcia Diez who passed away in 2002 and 2005. She graduated with a degree from The School of Mining Engineering of Madrid and subsequently worked and studied in France. After attaining a Master of Science in Petroleum Engineering from Stanford University in California, she moved to New Orleans in 2001 where she began a 17-year career working for Shell Oil as a Petrophysical Engineer. Cristina moved to Brazil in 2009 where she met and married Rodrigo Vian, a native of Brazil on November 30, 2013. She returned to New Orleans with her family in 2015. Cristina is survived by her husband and two beautiful children: Rodrigo Arroyo Vian, 4 years old, and Cecilia Arroyo Vian, 2 years old. She is the niece of Carlos Garcia Cuadrado and Maria Victoria Garcia Diez who loved her like a daughter. She leaves behind six loving siblings living in Spain and France: Enrique (husband of Julia and children Enrique, Eduardo), Ana Cecilia (child Constantino), Eulogio (husband of Cristina and children Eulogio, Marcella), Jesus (husband of Beatriz and children Clara, Alicia), Isabel (wife of Diego and child Santiago), and Carlos. She was like a second mother to her oldest nephew and godson, Constantino. 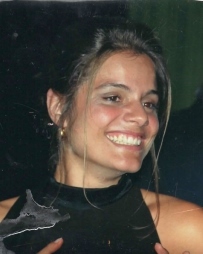 Cristina leaves behind a host of relatives and friends in New Orleans, Houston, Spain, and Brazil with whom she loved sharing meals, hiking, traveling, playing volleyball, dancing, and costuming. She will be remembered for her dedication to her family, loving spirit, beautiful smile, and infectious laugh. She was well loved and will be missed by all whose lives she touched. The family would like to thank the doctors and staff at MD Anderson (Houston) and Frank Culicchia (New Orleans), for the loving and compassionate care provided throughout her illness. Relatives and friends are invited to attend the Memorial Funeral Mass on Saturday, August 25, 2018 at 12:00 pm at St. Anthony of Padua Catholic Church, 4640 Canal St., New Orleans, LA. Visitation will be held in the church from 10:00 am until the time of Mass. JACOB SCHOEN & SON in charge of arrangements. In lieu of flowers, donations may be made in Cristina’s name to the St. George’s Episcopal School. They have been so supportive with our family and they are planning to plant a tree in Cristina’s memory at School. Alternatively, donations may be made in Cristina’s name to the MD Anderson Cancer Center or the Glioblastoma Foundation. FOR HONOR/MEMORIAL GIFTS, MY GIFT IS IN HONOR OR MEMORY OF CRISTINA ARROYO GARCIA.